Violent protests erupted on Monday during a nationwide bandh called by Dalit outfits against the alleged dilution of the SC/ST (Prevention of Atrocities) Act, leaving seven persons dead and many injured across northern states and disrupting normal life. While some states ordered the closure of educational institutions and curtailed communication and transport services, incidents of arson and vandalism were reported from Madhya Pradesh, Rajasthan, Uttar Pradesh, Bihar and Punjab, among other states. Here are the key developments. Altogether seven have died across India with five alone being reported dead from Madhya Pradesh. One of the protesters has lost their life in Meerut city of Western Uttar Pradesh, city's SSP Manzil Saini confirmed on Monday. A 28-year-old former son of sarpanch, Pawan Jatav, was killed in Khairthal in Rajasthan's Alwar district during Dalit protests against the Supreme Court order on the SC/ST Act, officials said. "Two people were killed in Gwalior while one person each died in Bhind and Morena districts in cross-firing during protests," Inspector General (Law and Order) Makrand Deoskar told PTI in Bhopal. Uttar Pradesh Police said that one person has died and three others were seriously injured during Dalit protests in the state. Curfew was imposed in Morena, Gwalior and Bhind districts of Madhya Pradesh after five people died in violent protests and several others were injured. The army was called in Bhind district, where six people were injured in firing by protesters, to control the situation, Bhind Superintendent of Police Prashant Khare said. Internet services were also suspended in towns of Bhind, Morena, Gwalior and Sagar. While Section 144 was imposed in parts of Rajasthan in Barmer, Jalore, Sikar and Ahore, nearly 25-30 companies of additional forces were deployed across the state. Internet services are also suspended. Prohibitory orders were imposed in Barmer after four cars were torched. "Situation is now under control," Barmer District Collector Nakate Shivprasad Madan said. Meanwhile, the Punjab government brought in the army and paramilitary forces and asked them to be on standby as a precautionary measure in Punjab. Uttar Pradesh Police arrested 448 people, including a BSP leader, in order to control the violence in western parts of the state. 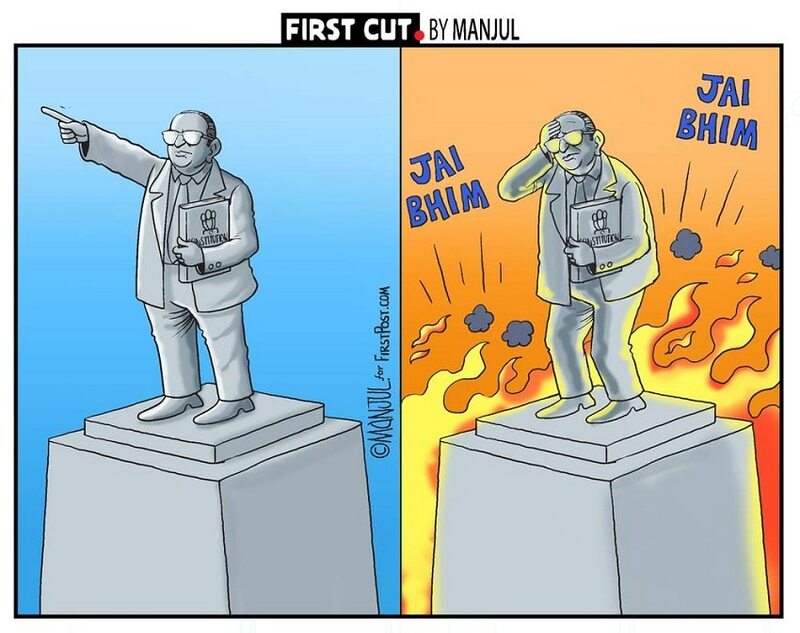 The Centre also rushed 800 anti-riot policemen to Uttar Pradesh and Madhya Pradesh after violent protests erupted during a nationwide bandh called by Dalit outfits against the alleged dilution of the SC/ST (Prevention of Atrocities) Act. Two companies of Rapid Action Force (RAF) personnel have been sent to Meerut and one company each to Agra and Hapur (all in UP), a home ministry official said. Director General of Police (DGP), OP Singh, said the situation is under control in Agra, Sambhal and Hapur and that anti-riot police have been deployed there. "We have sought more force from the Centre that will be deployed there. We are keeping an eye on the situation, which is under control," he said. Many trains, such as Saptakranti Express, Utkal Express and the Bhubaneswar Rajdhani as well as the Kanpur Shatabdi, were stopped ahead of Ghaziabad in Meerut and Modinagar, officials said. A group of about 2,000 people disrupted trains at the Hapur station as well, disrupting the movement of many goods trains, they added. 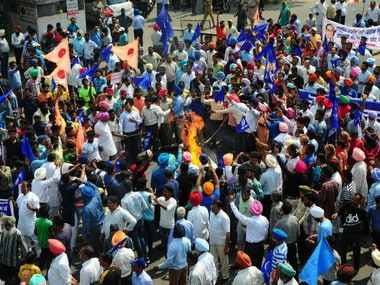 Protests were also witnessed at Ambala and Rohtak in Haryana as well as in Chandigarh. In the national capital region, protesters squatted on tracks at several places, stopping trains, including the Dehradun Express and the Ranchi Rajdhani, while a Northern Railway official said services were also disrupted by a mob in Ghaziabad. The protesters gathered at Mandi House in Delhi and blocked the road outside the metro station there, bringing traffic to a halt and inconveniencing commuters travelling towards ITO and other stretches. A heavy police force was deployed at Mandi House in view of the protests. Shouting slogans of 'Jai Bhim', the protesters also blocked one of the carriageways of Barakhamba Road affecting traffic on the stretch, police said. Nearly 30 people — 20 from Ajmer and 10 from Jaipur — were detained in Rajasthan as protesters blocked rail and road traffic and vandalised public property, including a train, in many parts of the state. Protestors damaged glass windows of Shatabdi Express at Khairthal railway station, Khairthal GRP SHO Ramesh Chandra said. According to a railways spokesperson, movement of seven trains was affected in North-Western railway region. Train movement in Alwar and Khairthal has also been affected, officials added, reported PTI. Protesters stormed the Patna Junction where they forced the closure of the ticket booking counters and squatted on railway tracks disrupting the movement of a number of trains. Normal life was partially affected in several parts of Odisha as well after activists of 'Adivasi Dalit Sena' staged a rail roko at Khetrajpur station in Sambalpur which caused a delay in the running of some trains, officials said. In the state capital of Bhubaneswar, activists of different Dalit organisations put up road blockades near Vani Vihar, Jayadev Vihar and Acharya Vihar areas. The Government of India has filed a review petition in the Supreme Court on its order on the atrocities on SC/ST act. The Centre has told the court that granting an anticipatory bail to a accused in such a case could terrorise the victims. 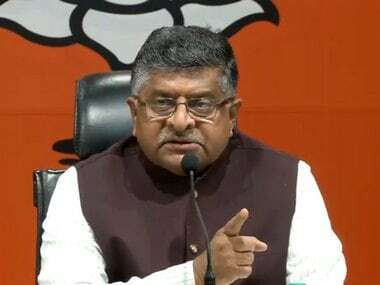 Union Home Minister Rajnath Singh appealed for peace, while Law Minister Ravi Shankar Prasad said the government was not a party to the Supreme Court decision on the SC/ST Act and "respectfully" did not agree with its reasoning behind the verdict. Prasad also said the government has filed a very comprehensive review petition in the matter. Union Minister Ramvilas Paswan, a prominent Dalit leader and head of NDA ally LJP, appreciated the government's quick decision to file the petition and accused Congress of having done nothing for Baba Saheb Ambedkar. Uttar Pradesh chief minister Yogi Adityanath appealed for peace and urged the people not to vitiate law and order, as violence was reported from many districts including Azamgarh where protesters torched two state-run buses, injuring several passengers. Congress chief Rahul Gandhi criticised the BJP for the plight of Dalits and said he saluted "brothers and sisters" from the community who have hit the streets to demand protection of their rights from the Modi government. It is in the DNA of the RSS/BJP to keep Dalits at the lowest level in Indian society. Anyone who challenges this thought is crushed with violence, he said. BSP chief Mayawati alleged that the protests could have been prevented had the Centre not delayed filing the review petition in Supreme Court against its order on SC/SCT atrocities act. 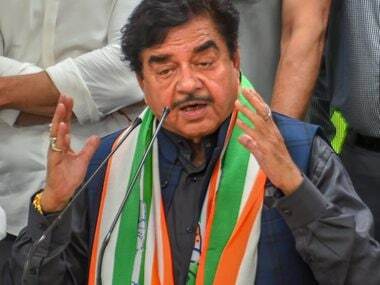 While extending her party's strong support to the Dalit protests across North India, she blamed the BJP government's casteist mindset for the simmering anger in the community. She also claimed that the cases of atrocities against Dalits have gone up since the BJP government came to power. Kejriwal extended support to Dalits, saying the SC/ST (PoA) Act should be preserved while Congress leader Ghulam Nabi Azad demanded Central government ordinance to strengthen SC/ST (PoA) Act. 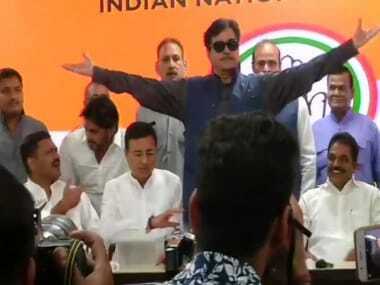 In Patna, MLAs from the Opposition parties, as well as some from the ruling side, demanded a resolution be passed by the House urging the Centre to take adequate measures to undo the recent Supreme Court order on arrests under the SC/ST Act. In the view of the Bharat Bandh, the Central Board of Secondary Education (CBSE) has postponed Class XII and Class X examinations scheduled to be held on Monday in Punjab. The CBSE said it has received a letter of request, dated 1 April, 2018, from the director general (school education) of the Punjab government to postpone all its examinations scheduled to be held on Monday on account of apprehensions of law and order problems and other disturbances in the day during the 'Bharat Bandh'. The state government has also taken a decision to keep all schools shut for the day, the CBSE said referring to the letter of the state government. "Taking congnisance of the letter of the director general (school education), the CBSE decided to postpone all class 12 and 10 examinations scheduled for 2 April, 2018 in the state of Punjab," it said in a statement issued late in the night on Sunday. The Supreme Court had on 20 March had diluted certain provisions of the SC/ST Prevention of Atrocities Act, in a bid to protect 'honest' public servants discharging bona fide duties from being blackmailed with false cases under the Act. The verdict is being widely criticised by the Dalits and the Opposition who claim that the dilution of the Act will lead to more discrimination and crimes against the backward community.